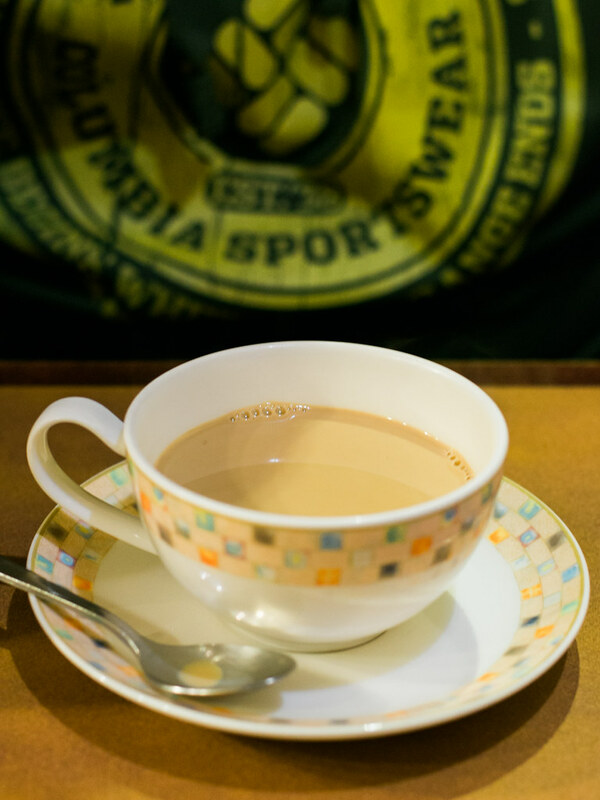 March 17, 2015 March 10, 2015 by Ada W.
One night, after I had my camera sensor cleaned at the Nikon Service Center in Shinjuku, my husband and I looked for a place to have dinner. Searching for a good restaurant around Shinjuku can be very frustrating because there are so many choices. 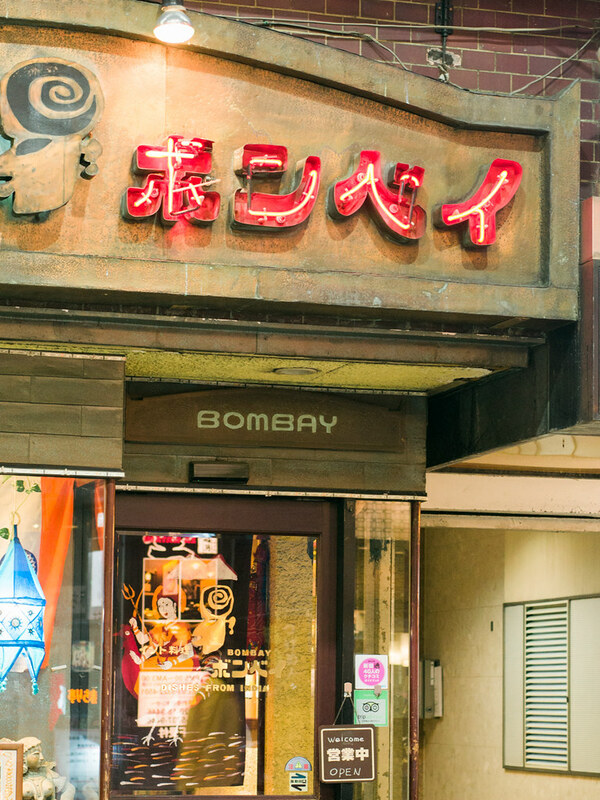 On the way to the train station, we saw a nice-looking Indian restaurant called Bombay. 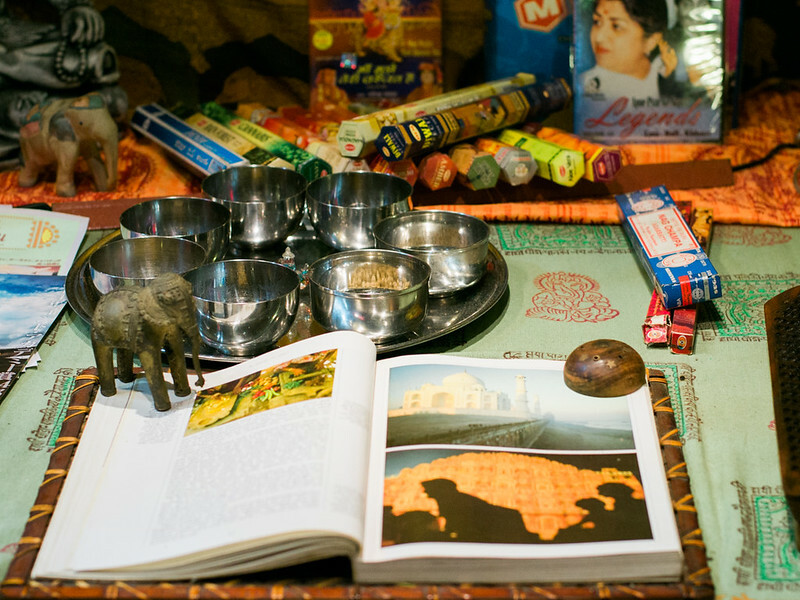 Since my husband and I love Indian dishes, and you can never go wrong with an Indian restaurant, we didn’t hesitate to come inside. We were greeted by an English-speaking staff member as we entered, and were seated close to the counter where they made their naan breads. 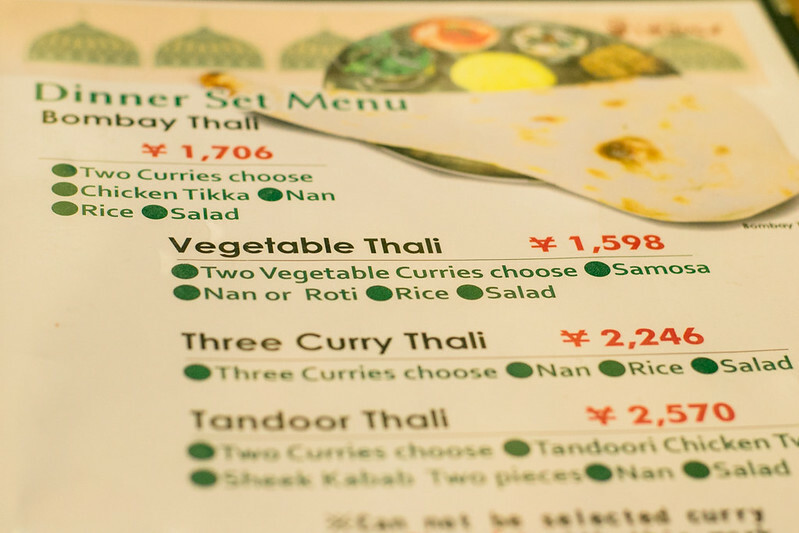 It was not difficult to choose food from the menu as everything was written in English. As usual, my husband ordered the mutton saag and garlic naan while I had their osusume (recommended) butter chicken curry and cheese naan. 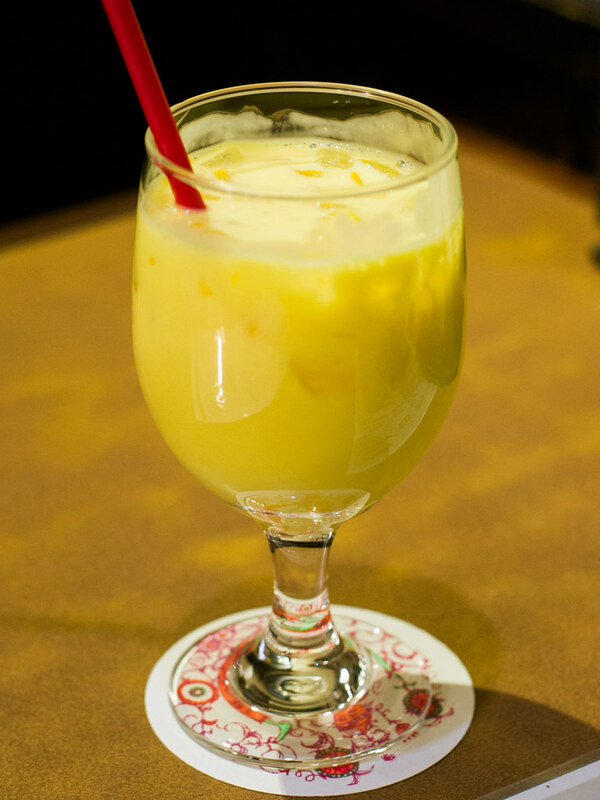 Indian restaurants are also famous for their mango lassi, my ultimate favorite dessert, and my husband ordered it for me without skipping a beat. 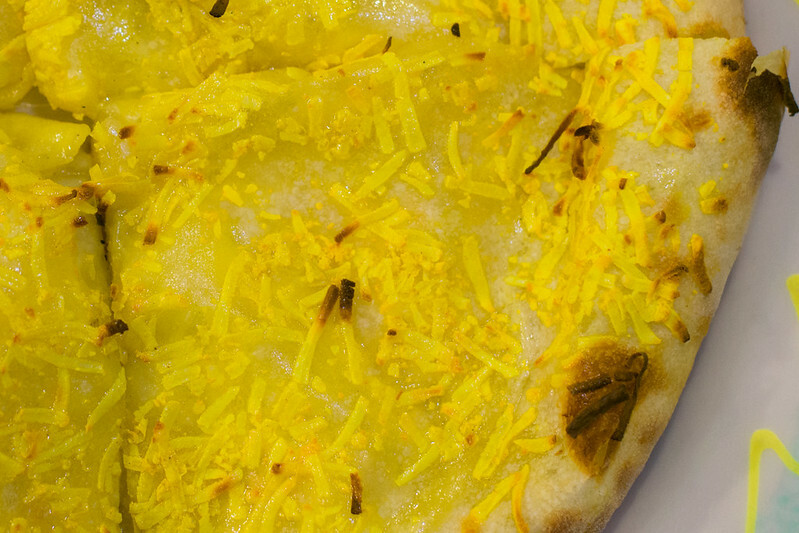 Not more than 15 minutes later, our curry and naan breads were served. 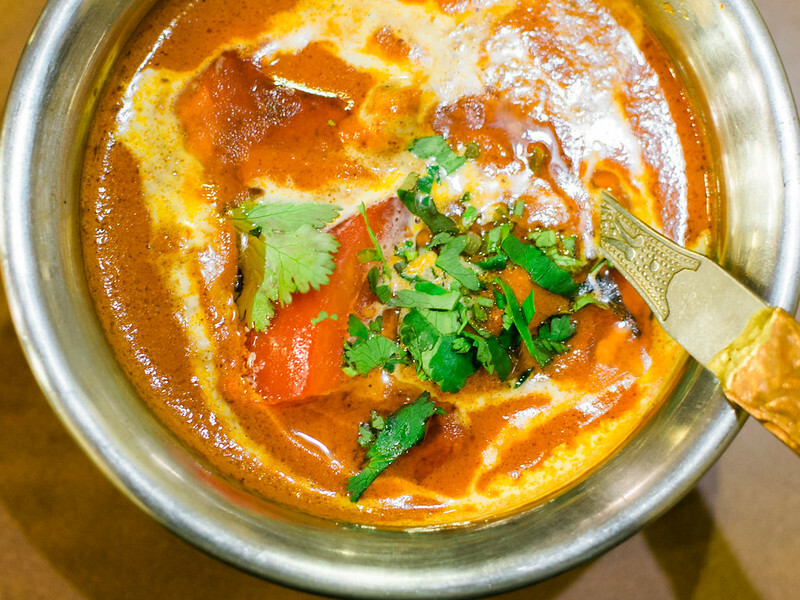 I couldn’t wait to try it (after taking pictures, of course) and I’m telling you, it was the best butter chicken curry I’ve ever had. 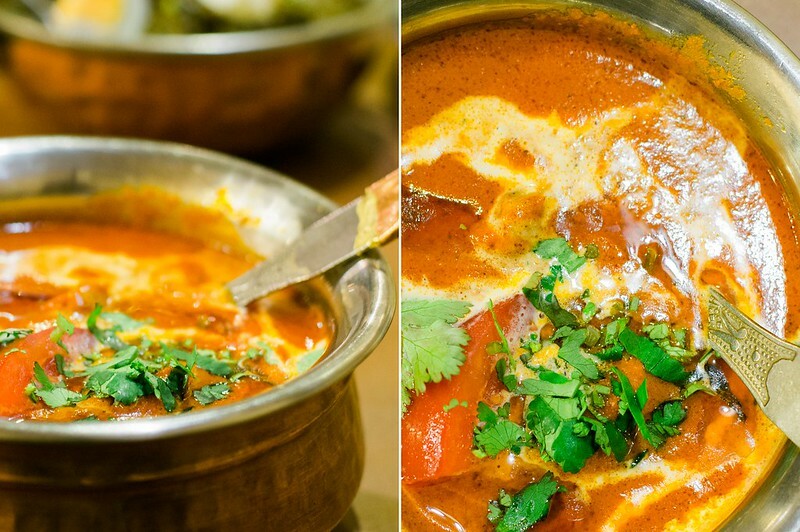 The curry had a creamy consistency with a kick of spice to it, and the chicken was awesome. Heaven in a bowl. 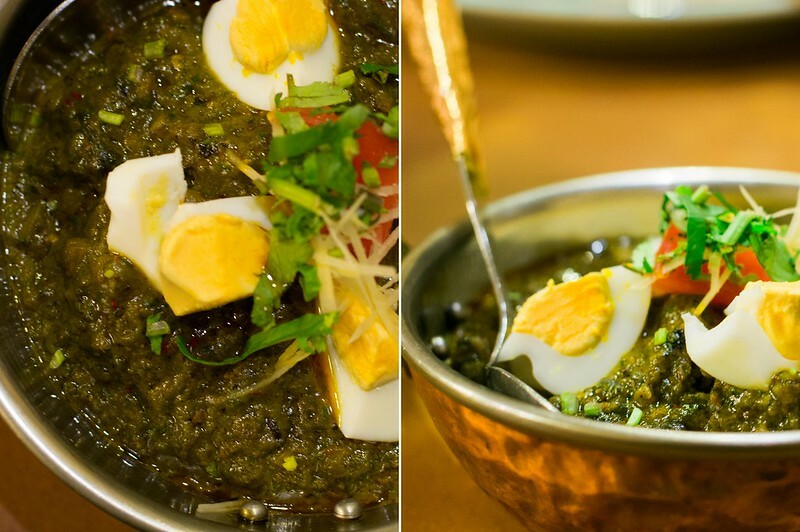 My husband loved his mutton saag, too. Thinking back, we must have looked weird saying, “Mmm,” “Ahhh,” and “Omg it’s so good,” while eating. 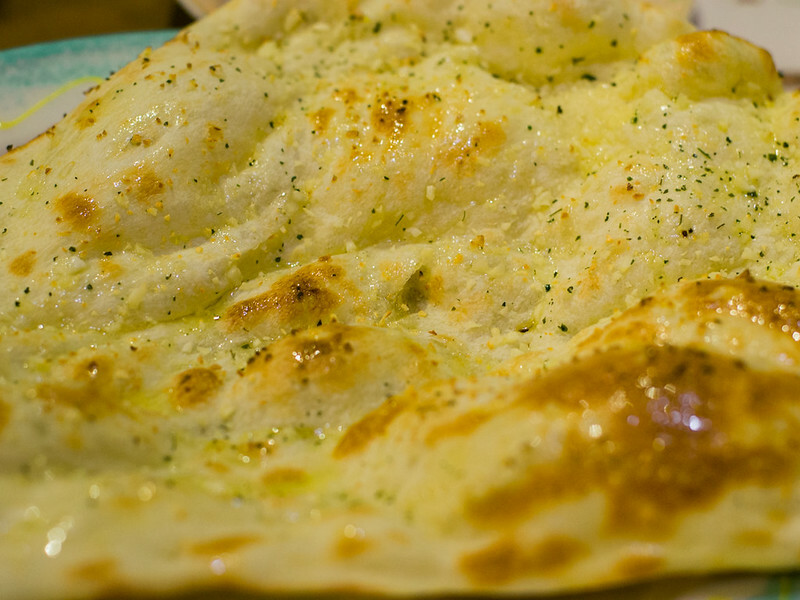 The naan breads were awesome as well. We used it to pick up every last bit of curry in the bowl. People in the restaurant were already starting to pile up so we decided to pay and leave. It was a very satisfying dinner. I have yet to go into an Indian restaurant that I didn’t like. That being said, each has a unique flavor to their recipes, and Bombay definitely did not disappoint. It is a nice little restaurant in the heart of Shinjuku I strongly recommend to travelers. 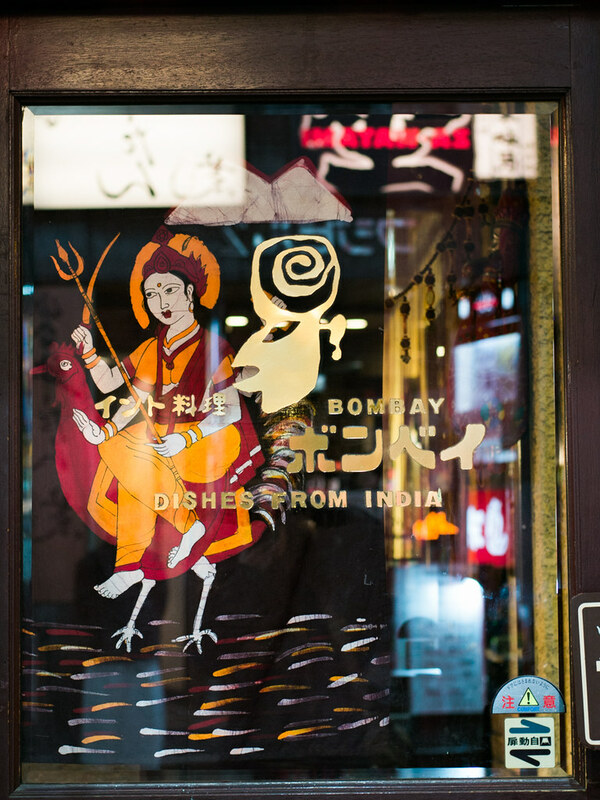 Every Indian Restaurant is very good-tasting, but each has a unique flavor to their recipes and Bombay is a nice little restaurant in the heart of Shinjuku I really recommend for travelers. They have that secret flavor added to their recipes to make you come back. Monday to Friday: 11:00 a.m. – 3:00 p.m. and 5:00 p.m. – 10:30 p.m.